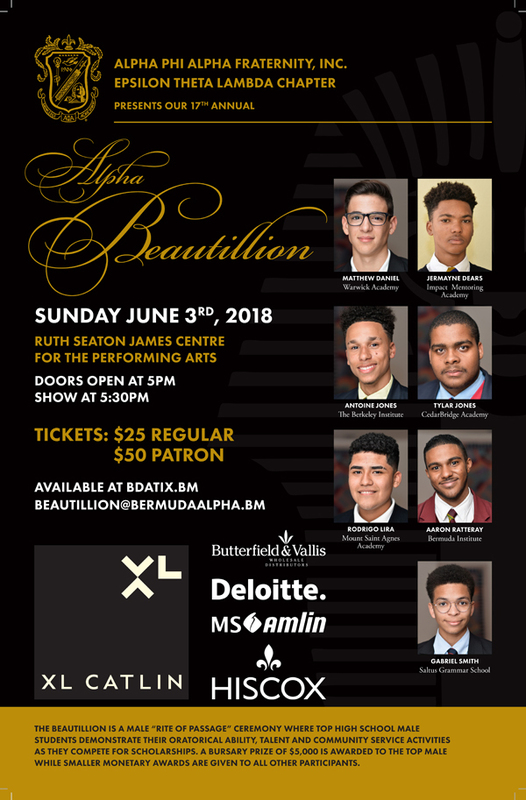 In the sixth in a series of profiles of the young men competing in this year’s Alpha Beautillion, we spotlight Matthew Daniel from the Warwick Academy. 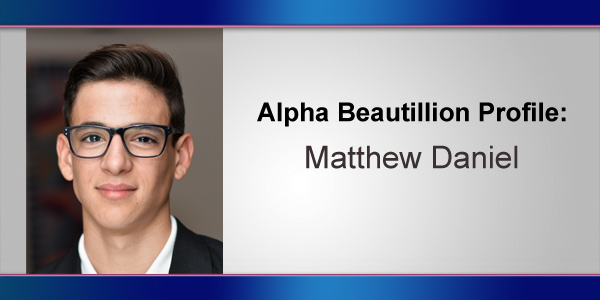 Matthew Daniel was born on August 14, 2001 to Michael and Nelia Daniel in Bermuda. He attends Warwick Academy and is in his first year of the International Baccalaureate program. Matthew is studying physics, math, and chemistry at the higher level and both standard level English and business. Although it has been a tough program, he has remained resilient and ready for whatever is thrown his way. His favorite subject is mathematics, and, in the future, he would like to study mechanical engineering. Matthew is employed at the Bermuda Aquarium Museum and Zoo as a Junior Zookeeper. His work at the aquarium has taught him much about effectively using his time and being responsible. His favorite animal is a parrot named Jesse who shows him a great deal of affection and mocks his whistle in the morning while he hands out the food dishes. In his free time, Matthew plays badminton and rugby and has been captain of his school rugby team two years in a row. This rugby season, his team was undefeated in the school league. Serving as captain of the team has taught him how to be a good, effective leader and how hard work brings rewards. Recently, his interest has been sparked by the BELCO apprenticeship program. He believes it will help him to make his aspirations of becoming an engineer a reality. Matthew is looking forward to being inducted into the program next summer. Matthew is a very good rugby player and a very nice guy.